"Unabomber" redirects here. For other uses, see Unabomber (disambiguation). 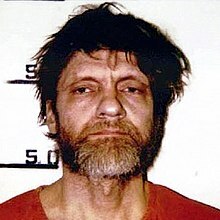 Theodore John Kaczynski (/kəˈzɪnski/; born May 22, 1942), also known as the Unabomber (/ˈjuːnəˌbɒmər/), is an American domestic terrorist, former mathematics professor, and anarchist author. A mathematics prodigy, he abandoned an academic career in 1969 to pursue a primitive lifestyle. Between 1978 and 1995, he killed three people and injured 23 others in an attempt to start a revolution by conducting a nationwide bombing campaign targeting people involved with modern technology. In conjunction, he issued a social critique opposing industrialization while advocating a nature-centered form of anarchism. In 1971, Kaczynski moved to a remote cabin without electricity or running water near Lincoln, Montana, where he lived as a recluse while learning survival skills in an attempt to become self-sufficient. After witnessing the destruction of the wilderness surrounding his cabin, he concluded that living in nature was untenable and began his bombing campaign in 1978. In 1995, he sent a letter to The New York Times and promised to "desist from terrorism" if The Times or The Washington Post published his essay, Industrial Society and Its Future, in which he argued that his bombings were extreme but necessary to attract attention to the erosion of human freedom and dignity by modern technologies that require large-scale organization. Kaczynski was the subject of the longest and most expensive investigation in the history of the Federal Bureau of Investigation (FBI). Before his identity was known, the FBI used the acronym UNABOM (University and Airline Bomber) to refer to his case, which resulted in the media naming him the "Unabomber". The FBI and Attorney General Janet Reno pushed for the publication of Industrial Society and Its Future, which led to a tip-off from Kaczynski's brother, David Kaczynski, who recognized the writing style. After his arrest in 1996, Kaczynski tried unsuccessfully to dismiss his court-appointed lawyers because they wanted him to plead insanity in order to avoid the death penalty, as he did not believe he was insane. In 1998 a plea bargain was reached, under which he pleaded guilty to all charges and was sentenced to life in prison without the possibility of parole. Theodore John Kaczynski was born on May 22, 1942, in Chicago, Illinois, to working-class second-generation Polish Americans, Wanda Theresa (née Dombek) and Theodore Richard Kaczynski. His parents told his younger brother, David Kaczynski, that Ted had been a happy baby until severe hives forced him into hospital isolation with limited contact with others, after which he "showed little emotion for months". Wanda recalled Ted recoiling from a picture of himself as an infant being held down by physicians examining his hives. She said he showed sympathy to animals who were in cages or otherwise helpless, which she speculated stemmed from his experience in hospital isolation. From first to fourth grade, Kaczynski attended Sherman Elementary School in Chicago, where administrators described him as "healthy" and "well-adjusted". In 1952, three years after David was born, the family moved to southwest suburban Evergreen Park, Illinois; Ted transferred to Evergreen Park Central School. After testing scored his IQ at 167, he skipped the sixth grade. Kaczynski later described this as a pivotal event: previously he had socialized with his peers and was even a leader, but after skipping ahead he felt he did not fit in with the older children and was bullied. Neighbors in Evergreen Park later described the Kaczynski family as "civic-minded folks", with one stating that the parents "sacrificed everything they had for their children". Both Ted and David were intelligent, but Ted stood out in particular. One neighbor said she had "never known anyone who had a brain like he did", while another said that Ted was "strictly a loner" who "didn't play ... an old man before his time." His mother recalled Ted as a shy child who would become unresponsive if pressured into a social situation. At one point she was so worried about Ted's social development that she considered entering him in a study for autistic children led by Bruno Bettelheim. She decided against it after observing Bettelheim's abrupt and cold manner. In 1990, Ted's father Theodore, suffering from terminal cancer, committed suicide with a .22 caliber rifle. Contrary to reports, Theodore had not suffered from mental health problems; he felt that death from cancer would be too painful for him and his family. Theodore spent his last days with his family members, showing them affection as an implicit farewell. Kaczynski attended Evergreen Park Community High School where he excelled academically. He played the trombone in the marching band and was a member of the mathematics, biology, coin, and German clubs but was regarded as an outsider by his classmates. In 1996, a former classmate said: "He was never really seen as a person, as an individual personality ... He was always regarded as a walking brain, so to speak." During this period, Kaczynski became intensely interested in mathematics, spending hours studying and solving advanced problems. He became associated with a group of likeminded boys interested in science and mathematics, known as the "briefcase boys" for their penchant for carrying briefcases. One member of this group recalled Kaczynski as "the smartest kid in the class ... just quiet and shy until you got to know him. Once he knew you, he could talk and talk." Throughout high school, Kaczynski was ahead of his classmates academically. Placed in a more advanced mathematics class, he soon mastered the material. He skipped the eleventh grade, and by attending summer school he graduated at age 15. He was one of his school's five National Merit finalists, and was encouraged to apply to Harvard College. He entered Harvard on a scholarship in 1958 at the age of 16. A classmate later said that Kaczynski was emotionally unprepared: "They packed him up and sent him to Harvard before he was ready ... He didn't even have a driver's license." During his first year at Harvard, Kaczynski lived at 8 Prescott Street, which was designed to accommodate the youngest, most precocious freshmen in a small, intimate living space. For the next three years he lived at Eliot House. One of his suitemates there recalled that he avoided contact with others and "would just rush through the suite, go into his room, and slam the door." Another said Kaczynski was reserved, but regarded him as a genius: "It's just an opinion – but Ted was brilliant." Other students stated Kaczynski was less socially averse than these descriptions imply; an Eliot House resident who dined with Kaczynski at times called him "very quiet, but personable ... He would enter into the discussions maybe a little less so than most [but] he was certainly friendly." Kaczynski earned his Bachelor of Arts degree in mathematics from Harvard in 1962. He finished with an above-average 3.12 GPA. As a sophomore, Kaczynski participated in a study described by author Alston Chase as a "purposely brutalizing psychological experiment" led by Harvard psychologist Henry Murray. Subjects were told they would be debating personal philosophy with a fellow student, and were asked to write essays detailing their personal beliefs and aspirations. The essays were turned over to an anonymous attorney, who in a later session would confront and belittle the subject – making "vehement, sweeping, and personally abusive" attacks – using the content of the essays as ammunition, while electrodes monitored the subject's physiological reactions. These encounters were filmed, and subjects' expressions of anger and rage were later played back to them repeatedly. The experiment lasted three years, with someone verbally abusing and humiliating Kaczynski each week. Kaczynski spent 200 hours as part of the study. Kaczynski's lawyers later attributed his hostility towards mind control techniques to his participation in Murray's study. Some sources have suggested that Murray's experiments were part of Project MKUltra, the Central Intelligence Agency's research into mind control. Chase and others have also suggested that this experience may have motivated Kaczynski's criminal activities. In 1962, Kaczynski enrolled at the University of Michigan, where he earned his master's and doctoral degrees in mathematics in 1964 and 1967, respectively. Michigan was not his first choice for postgraduate education; he had also applied to the University of California, Berkeley, and the University of Chicago, both of which accepted him but offered him no teaching position or financial aid. Michigan offered him an annual grant of $2,310 (equivalent to $19,343 in 2018) and a teaching post. At the University of Michigan, Kaczynski specialized in complex analysis, specifically geometric function theory. His intellect and drive impressed his professors. "He was an unusual person. He was not like the other graduate students. He was much more focused about his work. He had a drive to discover mathematical truth," said professor Peter Duren. "It is not enough to say he was smart," said George Piranian, another of his Michigan mathematics professors. At Michigan, Kaczynski earned 5 Bs and 12 As in his 18 courses. However, in 2006, he said his "memories of the University of Michigan are NOT pleasant ... the fact that I not only passed my courses (except one physics course) but got quite a few As, shows how wretchedly low the standards were at Michigan." In 1967, Kaczynski's dissertation Boundary Functions won the Sumner B. Myers Prize for Michigan's best mathematics dissertation of the year. Allen Shields, his doctoral advisor, called it "the best I have ever directed", and Maxwell Reade, a member of his dissertation committee, said "I would guess that maybe 10 or 12 men in the country understood or appreciated it." Kaczynski published two journal articles related to his dissertation, and three more after leaving Michigan. 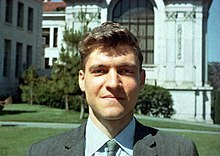 In late 1967, the 25-year-old Kaczynski became the youngest assistant professor of mathematics in the history of University of California, Berkeley, where he taught undergraduate courses in geometry and calculus. His teaching evaluations suggest he was not well-liked by his students: he seemed uncomfortable teaching, taught straight from the textbook and refused to answer questions. Without any explanation, Kaczynski resigned on June 30, 1969. At the time, the chairman of the mathematics department, J. W. Addison, called this a "sudden and unexpected" resignation. In 1996, vice chairman at Berkeley, Calvin C. Moore said, given Kaczynski's "impressive" dissertation and publications, he "could have advanced up the ranks and been a senior member of the faculty today." A 1996 Los Angeles Times article stated: "The field that Kaczynski worked in doesn't really exist today [according to mathematicians interviewed about his work]. Most of its theories were proven in the 1960s, when Kaczynski worked in it." According to mathematician Donald Rung, "[Kaczynski] probably would have gone on to some other area if he were to stay in mathematics." Kaczynski's cabin, now displayed at the Newseum in Washington, D.C.
After resigning from Berkeley, Kaczynski moved to his parents' home in Lombard, Illinois, then two years later, in 1971, to a remote cabin he had built outside Lincoln, Montana, where he could live a simple life with little money and without electricity or running water, working odd jobs and receiving some financial support from his family. His original goal was to become self-sufficient so that he could live autonomously. He taught himself survival skills such as tracking game, edible plant identification, organic farming, bow drilling and other primitive technologies. He used an old bicycle to get to town, and a volunteer at the local library said he visited frequently to read classic works in their original languages. Other Lincoln residents said later that such a lifestyle was not unusual in the area. Kaczynski decided it was impossible to live peacefully in nature because of the destruction of the wildland around his cabin by real estate development and industrial projects. In response, he began performing acts of sabotage against nearby developments in 1975, and dedicated himself to reading about sociology and political philosophy, such as the works of Jacques Ellul. It's kind of rolling country, not flat, and when you get to the edge of it you find these ravines that cut very steeply in to cliff-like drop-offs and there was even a waterfall there. It was about a two days' hike from my cabin. That was the best spot until the summer of 1983. That summer there were too many people around my cabin so I decided I needed some peace. I went back to the plateau and when I got there I found they had put a road right through the middle of it ... You just can't imagine how upset I was. It was from that point on I decided that, rather than trying to acquire further wilderness skills, I would work on getting back at the system. Revenge. They'll take the easy way out, and giving up your car, your television set, your electricity, is not the path of least resistance for most people. As I see it, I don't think there is any controlled or planned way in which we can dismantle the industrial system. I think that the only way we will get rid of it is if it breaks down and collapses ... The big problem is that people don't believe a revolution is possible, and it is not possible precisely because they do not believe it is possible. To a large extent I think the eco-anarchist movement is accomplishing a great deal, but I think they could do it better ... The real revolutionaries should separate themselves from the reformers ... And I think that it would be good if a conscious effort was being made to get as many people as possible introduced to the wilderness. In a general way, I think what has to be done is not to try and convince or persuade the majority of people that we are right, as much as try to increase tensions in society to the point where things start to break down. To create a situation where people get uncomfortable enough that they're going to rebel. So the question is how do you increase those tensions? An FBI reproduction of one of Kaczynski's bombs, on display at the Newseum in Washington, D.C.
Kaczynski's first mail bomb was directed at Buckley Crist, a professor of materials engineering at Northwestern University. On May 25, 1978, a package bearing Crist's return address was found in a parking lot at the University of Illinois at Chicago. The package was "returned" to Crist who was suspicious because he had not sent the package, so he contacted campus police. Officer Terry Marker opened the package, which exploded and injured his left hand. Kaczynski had returned to Illinois for the May 1978 bombing, and stayed there for a time to work with his father and brother at a foam rubber factory. However, in August 1978 he was fired by his brother for writing insulting limericks about a female supervisor whom he had briefly dated. The female supervisor later recalled Kaczynski as "intelligent, quiet," but remembered little of their acquaintance and firmly denied they had had any romantic relationship. The initial 1978 bombing was followed by bombs sent to airline officials, and in 1979 a bomb was placed in the cargo hold of American Airlines Flight 444, a Boeing 727 flying from Chicago to Washington, D.C. A faulty timing mechanism prevented the bomb from exploding, but it released smoke, which forced an emergency landing. Authorities said it had enough power to "obliterate the plane" had it exploded. As bombing an airliner is a federal crime, the Federal Bureau of Investigation became involved, designating it UNABOM for University and Airline Bomber. Kaczynski left false clues in every bomb, which he made hard to find to make them believable. The first clue was a metal plate stamped with the initials FC hidden somewhere (usually in the pipe end cap) in every bomb. Another clue included a note left in a bomb that did not detonate; it read "Wu—It works! I told you it would—RV". Another clue was the Eugene O'Neill $1 stamps used to send his boxes. He sent one bomb embedded in a copy of Sloan Wilson's novel Ice Brothers. The FBI theorized that Kaczynski had a theme of nature, trees and wood in his crimes. He often included bits of tree branch and bark in his bombs, and targets selected included Percy Wood and Professor Leroy Wood. Crime writer Robert Graysmith noted that his "obsession with wood" was "a large factor." The first serious injury occurred in 1985, when John Hauser, a graduate student and captain in the United States Air Force, lost four fingers and vision in one eye. The bomb, like others of Kaczynski's, was handcrafted and made with wooden parts. In 1993, after a six-year break, Kaczynski mailed a bomb to David Gelernter, a computer science professor at Yale University. Though critically injured, Gelernter recovered. In the same weekend, Kaczynski mailed a bomb to the home of Charles Epstein from the University of California, San Francisco, who lost several fingers upon opening it. Kaczynski then called Gelernter's brother, Joel Gelernter, a behavioral geneticist, and told him, "You are next." Geneticist Phillip Sharp at the Massachusetts Institute of Technology received a threatening letter two years later. In 1994, Burson-Marsteller executive Thomas J. Mosser was killed by a mail bomb sent to his home in North Caldwell, New Jersey. In another letter to The New York Times, Kaczynski said he "blew up Thomas Mosser because ... Burston-Marsteller helped Exxon clean up its public image after the Exxon Valdez incident" and, more importantly, because "its business is the development of techniques for manipulating people's attitudes." This was followed by the 1995 murder of Gilbert Brent Murray, president of the timber industry lobbying group California Forestry Association, by a mail bomb addressed to previous president William Dennison, who had retired. In 1995, Kaczynski mailed several letters to media outlets outlining his goals and demanding that his 35,000-word essay Industrial Society and Its Future (dubbed the Unabomber Manifesto by the FBI) be printed verbatim by a major newspaper. He stated that if this demand was met, he would "desist from terrorism." There was controversy as to whether the essay should be published, but the Department of Justice, headed by Attorney General Janet Reno, along with FBI Director Louis Freeh, recommended its publication out of concern for public safety and in hope that a reader could identify the author. Bob Guccione of Penthouse volunteered to publish it, but Kaczynski replied that as Penthouse was less "respectable" than the other publications, he would "reserve the right to plant one (and only one) bomb intended to kill, after our manuscript has been published". Instead, the essay was published by both The New York Times and The Washington Post on September 19, 1995. Throughout the document, written on a typewriter without italics, Kaczynski capitalizes entire words to show emphasis. He always refers to himself as either "we" or "FC" ("Freedom Club"), though there is no evidence that he worked with others. Academic Donald Foster, who analyzed the writing at the request of Kaczynski's defense, noted that it contains irregular spelling and hyphenation, as well as other linguistic idiosyncrasies, which led him to conclude that Kaczynski was its author. Industrial Society and Its Future begins with Kaczynski's assertion: "The Industrial Revolution and its consequences have been a disaster for the human race." Kaczynski writes that technology has had a destabilizing effect on society, has made life unfulfilling, and has caused widespread psychological suffering. He argues that, because of technological advances, most people spend their time engaged in useless pursuits he calls "surrogate activities," wherein people strive toward artificial goals, including scientific work, consumption of entertainment, and following sports teams. He predicts that further technological advances will lead to extensive human genetic engineering and that human beings will be adjusted to meet the needs of the social systems, rather than vice versa. He believes that technological progress can be stopped, unlike some people, who he says understand some of its negative effects yet passively accept it as inevitable, and calls for a return to "wild nature." Kaczynski argues that the erosion of human freedom is a natural product of an industrial society because "the system has to regulate human behavior closely in order to function," and that reform of the system is impossible as "changes large enough to make a lasting difference in favor of freedom would not be initiated because it would be realized that they would gravely disrupt the system." However, he states that the system has not yet fully achieved "control over human behavior" and "is currently engaged in a desperate struggle to overcome certain problems that threaten its survival." He predicts that "[i]f the system succeeds in acquiring sufficient control over human behavior quickly enough, it will probably survive. Otherwise it will break down," and that "the issue will most likely be resolved within the next several decades, say 40 to 100 years." Kaczynski therefore states that the task of those who oppose industrial society is to promote "social stress and instability," and to propagate "an ideology that opposes technology," one that offers the "counter-ideal" of nature "in order to gain enthusiastic support." Thus, when industrial society is sufficiently unstable, "a revolution against technology may be possible." Throughout the document, Kaczynski addresses leftism as a movement. He defines leftists as "mainly socialists, collectivists, 'politically correct' types, feminists, gay and disability activists, animal rights activists and the like," states that leftism is driven primarily by "feelings of inferiority" and "oversocialization," and derides leftism as "one of the most widespread manifestations of the craziness of our world." Kaczynski additionally states that "a movement that exalts nature and opposes technology must take a resolutely anti-leftist stance and must avoid all collaboration with leftists," as in his view "[l]eftism is in the long run inconsistent with wild nature, with human freedom and with the elimination of modern technology." He also criticizes conservatives, describing them as "fools" who "whine about the decay of traditional values, yet they enthusiastically support technological progress and economic growth. Apparently, it never occurs to them that you can't make rapid, drastic changes in the technology and the economy of a society without causing rapid changes in all other aspects of the society as well, and that such rapid changes inevitably break down traditional values." In The Atlantic, Alston Chase reported that the text "was greeted in 1995 by many thoughtful people as a work of genius, or at least profundity, and as quite sane". Chase himself argued, however, that it "is the work of neither a genius nor a maniac. ... Its pessimism over the direction of civilization and its rejection of the modern world are shared especially with the country's most highly educated." UCLA professor of political science James Q. Wilson, who was mentioned in the manifesto, wrote in The New Yorker that Industrial Society and Its Future was "a carefully reasoned, artfully written paper ... If it is the work of a madman, then the writings of many political philosophers—Jean Jacques Rousseau, Tom Paine, Karl Marx—are scarcely more sane." David Skrbina, a philosophy professor at the University of Michigan and a former Green Party candidate for governor of Michigan, has written several essays in support of investigating Kaczynski's ideas, one of which he titled "A Revolutionary for Our Times." Paul Kingsnorth, a former deputy-editor of The Ecologist and a co-founder of the Dark Mountain Project, wrote an essay for Orion Magazine in which he described Kaczynski's arguments as "worryingly convincing" and stated that they "may change my life". Psychiatrist Keith Ablow, writing for Fox News, stated that Kaczynski was "reprehensible for murdering and maiming people" but "precisely correct in many of his ideas," and compared Industrial Society and Its Future to Aldous Huxley's Brave New World and George Orwell's Nineteen Eighty-Four. Anarcho-primitivist authors such as John Zerzan and John Moore came to Kaczynski's defense, while also holding reservations about his actions and ideas. As a critique of technological society, the manifesto echoed contemporary critics of technology and industrialization, such as John Zerzan, Jacques Ellul (whose The Technological Society was referenced in a 1971 essay by Kaczynski), Rachel Carson, Lewis Mumford, and E. F. Schumacher. Its idea of the "disruption of the power process" similarly echoed social critics emphasizing the lack of meaningful work as a primary cause of social problems, including Mumford, Paul Goodman, and Eric Hoffer. Its general theme was also addressed by Aldous Huxley's Brave New World, which Kaczynski references in the text. Kaczynski's ideas of "oversocialization" and "surrogate activities" recall Sigmund Freud's Civilization and Its Discontents and its theories of rationalization and sublimation (a term used three times in Kaczynski's essay to describe "surrogate activities"). In a Wired article on the dangers of technology, "Why The Future Doesn't Need Us" (2000), Bill Joy, one of the co-founders of Sun Microsystems, quoted Ray Kurzweil's The Age of Spiritual Machines, which quoted a passage by Kaczynski in Industrial Society and Its Future on the types of society that might develop if human labor were entirely replaced by artificial intelligence. Joy wrote that Kaczynski is "clearly a Luddite", but, "simply saying this does not dismiss his argument," and stated, "I saw some merit in the reasoning in this single passage [and] felt compelled to confront it." Anders Behring Breivik, the perpetrator of the 2011 Norway attacks, published a manifesto in which large chunks of text were copied from Industrial Society and Its Future with certain terms substituted (e.g., replacing "leftists" with "cultural Marxists" and "multiculturalists"). Following correspondence with Kaczynski for nearly a decade, University of Michigan–Dearborn philosophy professor David Skrbina helped to compile Kaczynski's work into the 2010 anthology Technological Slavery, including the original manifesto, letters between Skrbina and Kaczynski that clarify the latter's positions, and other essays. Within the next decade, Kaczynski updated his 1995 manifesto as Anti-Tech Revolution: Why and How to address advances in computers and the Internet. The book advocates for matching the computer programming skills of technology adherents and practicing other types of protest. It makes no mention of violence. The suspect was labeled the "Junkyard Bomber" by U.S. Postal Inspectors, who initially had responsibility for the case, because of the material used to make the mail bombs. FBI Inspector Terry D. Turchie was charged with running the UNABOM investigation. In 1979, an FBI-led task force that included 125 agents from the FBI, the Bureau of Alcohol, Tobacco and Firearms (ATF), and U.S. Postal Inspection Service was formed. The task force grew to more than 150 full-time personnel, but minute analysis of recovered components of the bombs and the investigation into the lives of the victims proved of little use in identifying the suspect, who built his bombs primarily from scrap materials available almost anywhere. The victims, investigators later learned, were chosen irregularly from library research. In 1980, chief agent John Douglas, working with agents in the FBI's Behavioral Sciences Unit, issued a psychological profile of the unidentified bomber. It described the offender as a man with above-average intelligence and connections to academia. This profile was later refined to characterize the offender as a neo-Luddite holding an academic degree in the hard sciences, but this psychologically based profile was discarded in 1983. An alternative theory was developed by FBI analysts that concentrated on the physical evidence in recovered bomb fragments. In this rival profile, the suspect was characterized as a blue-collar airplane mechanic. A 1-800 hotline was set up by the UNABOM Task Force to take calls related to the investigation, with a $1 million reward for anyone who could provide information leading to the Unabomber's capture. Before the publication of Industrial Society and Its Future, Ted's brother, David Kaczynski, was encouraged by his wife to follow up on suspicions that Ted was the Unabomber. David was dismissive at first, but he began to take the likelihood more seriously after reading the manifesto a week after it was published in September 1995. He searched through old family papers and found letters dating to the 1970s that Ted had sent to newspapers to protest the abuses of technology using phrasing similar to the manifesto. Before the manifesto's publication, the FBI held many press conferences asking the public to help identify the Unabomber. They were convinced that the bomber was from the Chicago area where he began his bombings, had worked in or had some connection to Salt Lake City, and by the 1990s had some association with the San Francisco Bay Area. This geographical information, as well as the wording in excerpts from the manifesto that were released before the entire text of the manifesto was published, persuaded David's wife to urge her husband to read the manifesto. After the manifesto was published, the FBI received over a thousand calls a day for months in response to its offer of a $1 million reward for information leading to the identification of the Unabomber. Many letters claiming to be from the Unabomber were also sent to the UNABOM Task Force, and thousands of suspect leads were reviewed. While the FBI was occupied with new leads, Kaczynski's brother David hired private investigator Susan Swanson in Chicago to investigate Ted's activities discreetly. David later hired Washington, D.C. attorney Tony Bisceglie to organize the evidence acquired by Swanson and make contact with the FBI, given the presumed difficulty of attracting the FBI's attention. David wanted to protect his brother from the danger of an FBI raid, such as the Ruby Ridge or the Waco Siege, since he feared a violent outcome from any attempt by the FBI to contact his brother. In early 1996, former FBI hostage negotiator and criminal profiler Clinton R. Van Zandt was contacted by an investigator working with Bisceglie. Bisceglie asked Van Zandt to compare the manifesto to typewritten copies of handwritten letters David had received from his brother. Van Zandt's initial analysis determined that there was better than a 60 percent chance that the same person had written the manifesto, which had been in public circulation for half a year. Van Zandt's second analytical team determined an even higher likelihood. He recommended that Bisceglie's client immediately contact the FBI. In February 1996, Bisceglie gave a copy of the 1971 essay written by Ted Kaczynski to Molly Flynn at the FBI. She forwarded the essay to the San Francisco-based taskforce. FBI Profiler James R. Fitzgerald recognized similarities in the writings using Linguistic analysis and determined that the author of the essays and the manifesto were almost certainly the same. Combined with facts gleaned from the bombings and Kaczynski's life, the analysis provided the basis for a search warrant signed by Terry Turchie, the head of the entire investigation. David Kaczynski had tried to remain anonymous, but he was soon identified, and within a few days an FBI agent team was dispatched to interview David and his wife with their attorney in Washington, D.C. At this and subsequent meetings, David provided letters written by his brother in their original envelopes, allowing the FBI task force to use the postmark dates to add more detail to their timeline of Ted's activities. David developed a respectful relationship with behavioral analysis Special Agent Kathleen M. Puckett, whom he met many times in Washington, D.C., Texas, Chicago, and Schenectady, New York, over the nearly two months before the federal search warrant was served on Kaczynski's cabin. David had once admired and emulated his older brother but later decided to leave the survivalist lifestyle behind. He had received assurances from the FBI that he would remain anonymous and that his brother would not learn who had turned him in, but his identity was leaked to CBS News in early April 1996. CBS anchorman Dan Rather called FBI director Louis Freeh, who requested 24 hours before CBS broke the story on the evening news. The FBI scrambled to finish the search warrant and have it issued by a federal judge in Montana; afterwards, an internal leak investigation was conducted by the FBI, but the source of the leak was never identified. FBI officials were not unanimous in identifying Ted as the author of the manifesto. The search warrant noted that numerous experts believed the manifesto had been written by another individual. FBI agents arrested Kaczynski on April 3, 1996, at his cabin, where he was found in an unkempt state. A search of his cabin revealed a cache of bomb components, 40,000 hand-written journal pages that included bomb-making experiments, descriptions of the Unabomber crimes and one live bomb, ready for mailing. They also found what appeared to be the original typed manuscript of Industrial Society and Its Future. By this point, the Unabomber had been the target of the most expensive investigation in FBI history. After his capture, theories emerged naming Kaczynski as the Zodiac Killer. Among the links that raised suspicion was the fact that Kaczynski lived in the San Francisco Bay Area from 1967 to 1969 (the same period that most of the Zodiac's confirmed killings occurred in California), that both individuals were highly intelligent with an interest in bombs and codes, and that both wrote letters to newspapers demanding the publication of their works with the threat of continued violence if the demand was not met. However, Kaczynski's whereabouts could not be verified for all of the killings, and the gun and knife murders committed by the Zodiac Killer differ from Kaczynski's bombings, so he was not further pursued as a suspect. Robert Graysmith, author of the 1986 book Zodiac, said the similarities are "fascinating" but purely coincidental. The early hunt for the Unabomber portrayed a perpetrator far different from the eventual suspect. Industrial Society and Its Future consistently uses "we" and "our" throughout, and at one point in 1993 investigators sought an individual whose first name was "Nathan" because the name was imprinted on the envelope of a letter sent to the media. When the case was presented to the public, authorities denied that there was ever anyone other than Kaczynski involved in the crimes. A federal grand jury indicted Kaczynski in April 1996 on ten counts of illegally transporting, mailing, and using bombs, and three counts of murder. Kaczynski's lawyers, headed by Montana federal public defenders Michael Donahoe and Judy Clarke, attempted to enter an insanity defense to avoid the death penalty, but Kaczynski rejected this strategy. On January 8, 1998, he requested to dismiss his lawyers and hire Tony Serra as his counsel; Serra had agreed not to use an insanity defense and instead base a defense on Kaczynski's anti-technology views. This request was unsuccessful and Kaczynski subsequently tried to commit suicide by hanging on January 9. Several, though not all, forensic psychiatrists and psychologists who examined Kaczynski diagnosed him as having paranoid schizophrenia. Forensic psychiatrist Park Dietz said Kaczynski was not psychotic but had a schizoid or schizotypal personality disorder. In his 2010 book Technological Slavery, Kaczynski said that two prison psychologists who visited him frequently for four years told him they saw no indication that he suffered from paranoid schizophrenia and the diagnosis was "ridiculous" and a "political diagnosis". On January 21, 1998, Kaczynski was declared competent to stand trial "despite the psychiatric diagnoses". As he was fit to stand trial, prosecutors sought the death penalty but Kaczynski avoided that by pleading guilty to all charges on January 22, 1998, and accepting life imprisonment without the chance of parole. He later tried to withdraw this plea, arguing it was involuntary. Judge Garland Ellis Burrell Jr. denied his request, and the United States Court of Appeals for the Ninth Circuit upheld that decision. In 2006, Burrell ordered that items from Kaczynski's cabin be sold at a "reasonably advertised Internet auction." Items considered to be bomb-making materials, such as diagrams and "recipes" for bombs, were excluded. The net proceeds went towards the $15 million in restitution Burrell had awarded Kaczynski's victims. Kaczynski's correspondence and other personal papers were also auctioned. Burrell ordered the removal, before sale, of references in those documents to Kaczynski's victims; Kaczynski unsuccessfully challenged those redactions as a violation of his freedom of speech. The auction raised $232,000. No, what worries me is that I might in a sense adapt to this environment and come to be comfortable here and not resent it anymore. And I am afraid that as the years go by that I may forget, I may begin to lose my memories of the mountains and the woods and that's what really worries me, that I might lose those memories, and lose that sense of contact with wild nature in general. But I am not afraid they are going to break my spirit. In 2016, it was reported that early on in his imprisonment Kaczynski had befriended Ramzi Yousef and Timothy McVeigh, the perpetrators of the 1993 World Trade Center bombing and the Oklahoma City bombing, respectively. The trio discussed religion and politics and formed a friendship which lasted until McVeigh's execution in 2001. Kaczynski's cabin was seized by the U.S. government and is on display at the Newseum in Washington, D.C. In October 2005, Kaczynski offered to donate two rare books to the Melville J. Herskovits Library of African Studies at Northwestern University's campus in Evanston, Illinois, the location of his first two attacks. Northwestern rejected the offer due to already having copies of the works. The Labadie Collection, part of the University of Michigan's Special Collections Library, houses Kaczynski's correspondence with over 400 people since his arrest, including replies, legal documents, publications, and clippings. His writings are among the most popular selections in the University of Michigan's special collections. The identity of most correspondents will remain sealed until 2049. In 2012, Kaczynski responded to the Harvard Alumni Association's directory inquiry for the fiftieth reunion of the class of 1962; he listed his occupation as "prisoner" and his eight life sentences as "awards". —— (July 1965). "Boundary Functions for Functions Defined in a Disk". Journal of Mathematics and Mechanics. 14 (4): 589–612. —— (November 1966). "On a Boundary Property of Continuous Functions". Michigan Mathematical Journal. 13 (3): 313–320. —— (1967). Boundary Functions (fragment) (PhD). University of Michigan. Kaczynski's doctoral dissertation. Complete dissertation available for purchase from ProQuest, with publication number 6717790. —— (March 1969). "Boundary Functions for Bounded Harmonic Functions" (PDF). Transactions of the American Mathematical Society. 137: 203–209. Archived (PDF) from the original on January 16, 2017. —— (July 1969). "Boundary Functions and Sets of Curvilinear Convergence for Continuous Functions" (PDF). Transactions of the American Mathematical Society. 141: 107–125. Archived (PDF) from the original on August 12, 2017. —— (November 1969). "The Set of Curvilinear Convergence of a Continuous Function Defined in the Interior of a Cube" (PDF). Proceedings of the American Mathematical Society. 23 (2): 323–327. Archived (PDF) from the original on August 2, 2017. ^ As stated in the "Additional Findings" section of the FBI affidavit, where a balanced listing of other uncorrelated evidence and contrary determinations also appeared, "203. Latent fingerprints attributable to devices mailed and/or placed by the UNABOM subject were compared to those found on the letters attributed to Theodore Kaczynski. According to the FBI Laboratory no forensic correlation exists between those samples." ^ Kaczynski's brother, David—who would play a vital role in Kaczynski's capture by alerting federal authorities to the prospect of his brother's involvement in the Unabomber case—sought out and became friends with Wright after Kaczynski was detained in 1996. David Kaczynski and Wright have remained friends and occasionally speak together publicly about their relationship. ^ "Inmate Locator". Bop.gov. Archived from the original on February 7, 2012. Retrieved August 10, 2014. ^ Solomon (Special Agent in Charge, Miami Division), Jonathan (February 6, 2008). "Major Executive Speeches". Federal Bureau of Investigation. Archived from the original on December 27, 2016. ^ Hassell, Maria R; von Hassell, Agostino (July 9, 2009). A New Understanding of Terrorism: Case Studies, Trajectories and Lessons Learned. ISBN 978-1-4419-0115-6. Archived from the original on January 24, 2016. ^ Song, David (May 21, 2012). "Theodore J. Kaczynski". The Harvard Crimson. Archived from the original on August 10, 2017. ^ Times Staff Writers (April 14, 1996). "Adrift in Solitude, Kaczynski Traveled a Lonely Journey". Los Angeles Times. Archived from the original on June 3, 2016. ^ a b c d e f g h i j McFadden, Robert D. (May 26, 1996). "Prisoner of Rage – A special report. ; From a Child of Promise to the Unabom Suspect". The New York Times. Archived from the original on August 9, 2017. Retrieved February 4, 2009. ^ Kovaleski, Serge F.; Adams, Lorraine (June 16, 1996). "A Stranger In The Family Picture". The Washington Post. Archived from the original on August 3, 2017. ^ Chase 2004, p. 161. ^ "The Kaczynski brothers and neighbors". Chicago Tribune. Archived from the original on August 17, 2017. ^ Chase, Alston (2004) . A Mind for Murder – The Education of The Unabomber and the Origins of Modern Terrorism (1 ed.). New York: W. W. Norton & Co., Inc. pp. 107–108. ISBN 978-0-393-32556-0. Archived from the original on August 19, 2017. Retrieved June 15, 2017. ^ Staff writer(s) (November 13, 1996). "Kaczynski: Too smart, too shy to fit in". USA Today. ^ Ferguson, Paul (1997). "A loner from youth". CNN. Archived from the original on June 13, 2008. Retrieved February 4, 2009. ^ Karr-Morse, Robin (January 3, 2012). Scared Sick: The Role of Childhood Trauma in Adult Disease (2 ed.). Basic Books. ISBN 978-0-465-01354-8. Archived from the original on August 19, 2017. Retrieved June 15, 2017. ^ Kaczynski, David (January 8, 2016). Every Last Tie: The Story of the Unabomber and His Family. Duke University Press. ISBN 9780822375005. ^ a b Achenbach, Joel; Kovaleski, Serge F. (April 7, 1996). "THE PROFILE OF A LONER". The Washington Post. Archived from the original on August 11, 2017. ^ a b Martin, Andrew; Becker, Robert (April 16, 1996). "Egghead Kaczynski Was Loner In High School". Chicago Tribune. Archived from the original on August 11, 2017. ^ Hickey, Eric W. (2003). Encyclopedia of Murder and Violent Crime. SAGE Publications. p. 268. ^ Song, David (May 21, 2012). "Theodore J. Kaczynski". The Harvard Crimson. Archived from the original on August 19, 2017. ^ Knothe, Alli; Andersen, Travis (May 23, 2012). "Unabomber lists self as 'prisoner' in Harvard directory". The Boston Globe. Archived from the original on September 1, 2017. ^ Staff writer(s) (May 24, 2012). "Unabomber in Harvard reunion note". BBC. Archived from the original on September 1, 2017. ^ a b c d Stampfl, Karl (March 16, 2006). "He came Ted Kaczynski, he left The Unabomber". The Michigan Daily. Archived from the original on January 14, 2017. ^ a b Alston, Chase (June 2000). "Harvard and the Making of the Unabomber". The Atlantic Monthly. 285 (6). pp. 41–63. Archived from the original on August 21, 2014. Retrieved June 15, 2017. ^ Moreno, Jonathan D (May 25, 2012). "Harvard's Experiment on the Unabomber, Class of '62". Psychology Today. Archived from the original on December 21, 2017. ^ Gitlin, Todd (March 2, 2003). "A Dangerous Mind". The Washington Post. Archived from the original on May 8, 2018. ^ Moreno, Jonathan (2012). Mind Wars: Brain Science and the Military in the 21st Century. Bellevue Literary Press, NYU School of Medicine. ISBN 978-1-934137-43-7. ^ "MKUltra: Inside the CIA's Cold War mind control experiments". The Week. Archived from the original on November 22, 2017. Retrieved December 23, 2017. ^ Chase, Alston. "Harvard and the Making of the Unabomber". The Atlantic. Archived from the original on August 21, 2014. Retrieved December 23, 2017. ^ Chase, Alston (2003). Harvard and the Unabomber: The Education of an American Terrorist. W. W. Norton & Company. pp. 18–19. ISBN 978-0-393-02002-1. ^ Alston Chase (June 1, 2000). "Harvard and the Making of the Unabomber". The Atlantic Monthly. pp. 41–65. Archived from the original on May 9, 2008. Retrieved October 16, 2008. ^ RadioLab (June 28, 2010). "Oops". Archived from the original on September 8, 2010. ^ Cockburn, Alexander (October 18, 1999). "CIA Shrinks & LSD". CounterPunch. Archived from the original on September 7, 2015. Retrieved August 7, 2015. ^ a b Ostrom, Carol M. (April 6, 1996). "Unabomber Suspect Is Charged – Montana Townsfolk Showed Tolerance For 'The Hermit'". The Seattle Times. Archived from the original on December 27, 2008. Retrieved February 4, 2009. ^ a b Bullough, John. "Published [Academic] Works of Theodore Kaczynski". Archived from the original on August 8, 2015. Retrieved July 31, 2015. ^ Howe, Peter J. & Dembner, Alice (April 5, 1996). "Meteoric Talent that Burned Out". Boston Globe. Archived from the original on May 1, 2011. Retrieved May 9, 2009. ^ Li, Ivy (November 10, 2016). "A neo-Luddite manifesto?". The Tech. Archived from the original on August 10, 2017. ^ a b Crenson, Matt (July 21, 1996). "Kaczynski's Dissertation Would Leave Your Head Spinning". Los Angeles Times. Archived from the original on November 4, 2016. ^ Perez-Pena, Richard (April 5, 1996). "On the Suspect's Trail: the Suspect; Memories of His Brilliance, And Shyness, but Little Else". The New York Times. Archived from the original on August 19, 2017. Retrieved February 4, 2009. ^ Graysmith, Robert (1998). Unabomber: A Desire to Kill. Berkeley Publishing Group. pp. 11–12. ISBN 978-0-425-16725-0. ^ Morris, Willy (April 6, 1996). "Kaczynski Ended Career in Math with no Explanation". Buffalo News. ^ "125 Montana Newsmakers: Ted Kaczynski". Great Falls Tribune. Archived from the original on June 15, 2013. Retrieved August 28, 2011. ^ a b c d e "Interview with Ted Kaczynski, Administrative Maximum Facility Prison, Florence, Colorado, USA". Earth First Journal!. June 1999. Archived from the original on March 18, 2009. Retrieved March 18, 2009. ^ Kifner, John (April 5, 1996). "On The Suspect's Trail: Life In Montana; Gardening, Bicycling And Reading Exotically". The New York Times. Archived from the original on November 4, 2015. ^ Brooke, James (March 14, 1999). "New Portrait of Unabomber: Environmental Saboteur Around Montana Village for 20 Years". The New York Times. Archived from the original on September 4, 2017. ^ Freedom Club. "The Communiques of Freedom Club, § Letter to San Francisco Examiner". Wildism.org. Archived from the original on August 11, 2015. Retrieved August 8, 2015. ^ a b c "Affidavit of Assistant Special Agent in Charge". Court TV. Archived from the original on December 18, 2008. Retrieved February 4, 2009. ^ a b c "The Unabomber: A Chronology (1978–1982)". Court TV. Archived from the original on July 20, 2008. Retrieved July 5, 2008. ^ "Ted Kaczynski's Family on 60 Minutes". CBS News. September 15, 1996. Retrieved July 31, 2015. ^ Gortelmann, Josh (November 13, 1996). "Kaczynski was fired '78 after allegedly harassing co-worker". USA Today. ^ Johnson, Dirk (April 19, 1996). "Woman Denies Romance With Unabomber Suspect". The New York Times. Archived from the original on May 26, 2015. ^ a b Blumenthal, Ralph; Kleinfield, N. R. (December 18, 1994). "Death in the Mail – Tracking a Killer: A special report. ; Investigators Have Many Clues and Theories, but Still No Suspect in 15 Bombings". The New York Times. Archived from the original on August 10, 2017. Retrieved February 4, 2009. ^ "The end of anon: literary sleuthing from Shakespeare to Unabomber". The Guardian. London. August 16, 2001. Archived from the original on September 5, 2008. Retrieved July 5, 2008. ^ "The Unabomber: A Chronology (1985–1987)". Court TV. Archived from the original on February 26, 2009. Retrieved February 4, 2009. ^ Claiborne, William (April 11, 1996). "Kaczynski Beard May Confuse Witness". The Washington Post. p. A11. ^ Lavandera, Ed (June 6, 2008). "Unabomber's brother, victim forge unique friendship". CNN. Archived from the original on December 17, 2008. Retrieved February 4, 2009. ^ Shogren, Elizabeth (June 25, 1993). "Mail Bomb Attack Leaves Yale Computer Scientist in Critical Condition". Los Angeles Times. Archived from the original on May 1, 2011. Retrieved September 20, 2009. ^ a b "The Unabomber: A Chronology (1988–1995)". Court TV. Archived from the original on February 26, 2009. Retrieved February 4, 2009. ^ "U.S. v. Kaczynski Trial Transcripts". Court TV. Archived from the original on March 12, 2009. Retrieved February 4, 2009. ^ "The Unabomber's Targets: An Interactive Map". CNN. 1997. Archived from the original on June 13, 2008. Retrieved February 4, 2009. ^ Lardner, George; Adams, Lorraine (April 14, 1996). "To Unabomb Victims, a Deeper Mystery". The Washington Post. p. A01. Archived from the original on May 4, 2011. Retrieved February 4, 2009. ^ Chase, Alston. A Mind for Murder: The Education of the Unabomber and the Origins of Modern Terrorism. W. W. Norton & Company, Incorporated. p. 84. ISBN 0-393-02002-9. Google Book Search. Retrieved May 19, 2011. ^ "Unabomber Sends New Warnings". latimes. Archived from the original on May 1, 2011. ^ Staff writer(s) (April 21, 1996). "A Delicate Dance". Newsweek. Archived from the original on August 12, 2017. ^ "Excerpts From Letter by 'Terrorist Group,' FC, Which Says It Sent Bombs". The New York Times. April 26, 1995. Archived from the original on August 7, 2017. Retrieved January 21, 2009. ^ Elson, John (July 10, 1995). "Murderer's Manifesto". Time. Archived from the original on September 25, 2013. Retrieved February 4, 2009. ^ "WashingtonPost.com: Unabomber Special Report". Archived from the original on May 4, 2011. ^ "WashingtonPost.com:". Archived from the original on May 4, 2011. ^ Crain, Caleb (1998). "The Bard's fingerprints". Lingua Franca: 29–39. Archived from the original on June 24, 2016. ^ a b Staff writer(s) (September 19, 1995). "Excerpts from Unabomber document". United Press International. Archived from the original on August 12, 2017. ^ a b c d e Adams, Brooke (April 11, 1996). "From His Tiny Cabin To The Lack Of Electricty And Water, Kaczynski's Simple Lifestyle In Montana Mountains Coincided Well With His Anti-Technology Views". Deseret News. Archived from the original on August 12, 2017. ^ Katz, Jon (April 17, 1998). "THE UNABOMBER'S LEGACY, PART I". Wired. Archived from the original on August 13, 2017. ^ a b Sale, Kirkpatrick (September 25, 1995). "Is There Method In His Madness?". The Nation. p. 306. ^ Sale, Kirkpatrick (September 25, 1995). "Is There Method In His Madness?". The Nation. p. 308. ^ a b c Didion, Joan (April 23, 1998). "Varieties of Madness". The New York Review of Books. Archived from the original on August 13, 2017. ^ a b Chase, Alston (2000). "Harvard and the Making of the Unabomber". The Atlantic. Archived from the original on August 21, 2014. Retrieved April 26, 2017. ^ Finnegan, William. "The Unabomber Returns". The New Yorker. Archived from the original on April 28, 2017. ^ Spohrer, Lauren. "Penpals With the Unabomber". The Story. Archived from the original on June 30, 2016. ^ Skrbina, David. "A Revolutionary for Our Times". The Wild Will Project. Archived from the original on August 19, 2017. ^ Skrbina, David. "On the Question of Technological Slavery: A Reply to Campbell and Lipkin". The Wild Will Project. Archived from the original on August 19, 2017. ^ Kingsnorth, Paul. "Dark Ecology". Orion. Archived from the original on March 15, 2017. ^ Albow, Keith (June 25, 2013). "Was the Unabomber correct?". Fox News. Archived from the original on February 10, 2017. ^ "Whose Unabomber?". March 18, 2009. Archived from the original on March 18, 2009. ^ "The Unabomber: A Hero For Our Time". crimethinc.com. Archived from the original on February 11, 2010. Retrieved April 10, 2010. ^ Kaczynski, Ted. "Progress vs. Liberty (aka '1971 Essay')". Wild Will Project. Archived from the original on January 17, 2018. Retrieved May 29, 2018. ^ a b Sale, Kirkpatrick (September 25, 1995). "Unabomber's Secret Treatise". Nation. Archived from the original on May 2, 2009. Retrieved April 23, 2009. ^ Kaczynski, Ted (1995). "Industrial Society and Its Future, § Human Suffering". Archived from the original on August 10, 2015. Retrieved August 7, 2015. ^ Wright, Robert (August 28, 1995). "The Evolution of Despair". Time. Archived from the original on December 5, 2008. Retrieved July 6, 2008. ^ "Why the future doesn't need us". Wired. April 2000. Archived from the original on February 5, 2009. Retrieved February 4, 2009. ^ John Stevens (July 25, 2011). "Anders Behring Breivik posted YouTube video six hours before Norway terror attacks". Daily Mail. London. Archived from the original on May 5, 2013. Retrieved July 24, 2011. ^ "Norway suspect admits responsibility". Sky News. Archived from the original on January 4, 2012. Retrieved July 24, 2011. ^ Lucas H. Weldeghebriel. "Kopierte Una-bomberens manifest". VG. Archived from the original on August 7, 2011. ^ Hough, Andrew (July 24, 2011). "Norway shooting: Anders Behring Breivik plagiarised 'Unabomber'". The Daily Telegraph. London. Archived from the original on July 24, 2011. Retrieved July 24, 2011. ^ Van Gerven Oei, Vincent W.J. (2011). "Anders Breivik: On Copying the Obscure". continent. 1 (3): 213–23. Retrieved March 15, 2019. ^ a b Young, Jeffrey R. (May 25, 2012). "The Unabomber's Pen Pal". The Chronicle of Higher Education. 58 (37). pp. B6–B11. ISSN 0009-5982. Archived from the original on October 9, 2017. Retrieved November 16, 2018 – via EBSCOhost. ^ Bailey, Holly (January 28, 2016). "The Unabomber takes on the Internet". Yahoo News. Archived from the original on February 14, 2016. Retrieved November 16, 2018. ^ Graysmith, Robert (1997). Unabomber: A Desire to Kill. Berkley Publishing Group. p. 74. ISBN 978-0-425-16725-0. ^ a b c d Taylor, Michael (May 5, 1998). "New Details Of Stakeout In Montana". SFGate. Archived from the original on September 14, 2018. Retrieved September 14, 2018. ^ Franks, Lucinda (July 22, 1996). "Don't Shoot". The New Yorker. Archived from the original on December 26, 2008. Retrieved February 4, 2009. ^ Labaton, Stephen (October 7, 1993). "Clue and $1 million Reward in Case of the Serial Bomber". The New York Times. Archived from the original on August 19, 2017. Retrieved February 4, 2009. ^ a b Kaczynski, David (September 9, 2007). "Programme 9: 9th September 2007". RTÉ Radio 1. Archived from the original on October 13, 2007. Retrieved February 4, 2009. ^ Johnston, David (April 5, 1996). "On the Suspect's Trail: the Investigation; Long and Twisting Trail Led To Unabom Suspect's Arrest". The New York Times. Archived from the original on August 10, 2017. Retrieved July 4, 2008. ^ Perez-Pena, Richard (April 7, 1996). "Tapestry of Links in the Unabom Inquiry". The New York Times. Archived from the original on August 10, 2017. Retrieved July 5, 2008. ^ Claiborne, William (August 21, 1998). "FBI Gives Reward to Unabomber's Brother". The Washington Post. Archived from the original on May 4, 2011. Retrieved February 2, 2011. ^ Kovaleski, Serge F. (January 20, 1997). "Kaczynski Letters Reveal Tormented Mind". The Washington Post. Archived from the original on January 15, 2018. Retrieved December 28, 2017. ^ a b Belluck, Pam (April 10, 1996). "In Unabom Case, Pain for Suspect's Family". The New York Times. Archived from the original on August 10, 2017. Retrieved July 5, 2008. ^ Davis, Pat (January – February 2017). "Historian Spotlight - James Fitzgerald". The FBI National Academy Associates Inc. Archived from the original on February 22, 2018. Retrieved September 10, 2018. ^ Davies, Dave (August 22, 2017). "FBI Profiler Says Linguistic Work Was Pivotal In Capture Of Unabomber". National Public Radio, Inc. Archived from the original on September 10, 2018. Retrieved September 10, 2018. ^ Johnston, David (May 5, 1998). "17-Year Search, an Emotional Discovery and Terror Ends". The New York Times. Archived from the original on August 19, 2017. Retrieved July 6, 2008. ^ a b Dubner, Stephen J. (October 18, 1999). "I Don't Want To Live Long. I Would Rather Get The Death Penalty Than Spend The Rest of My Life in Prison". Time. Archived from the original on December 4, 2002. Retrieved February 4, 2009. ^ "Unabomber suspect is caught, ending eight-year man-hunt". CNN. 1996. Archived from the original on October 8, 2008. Retrieved January 25, 2009. ^ "The Unabomb Trial". CNN. 1997. Archived from the original on June 18, 2006. Retrieved February 4, 2009. ^ Howlett, Debbie (November 13, 1996). "FBI Profile: Suspect is educated and isolated". USA Today. The 17-year search for the bomber has been the longest and costliest investigation in FBI history. ^ Fagan, Kevin; Wallace, Bill (May 14, 1996). "Kaczynski, Zodiac Killer – the Same Guy?". San Francisco Chronicle. Archived from the original on April 29, 2011. Retrieved December 5, 2009. ^ Unabomber. MSN Encarta. Archived from the original on January 25, 2009. Retrieved February 4, 2009. ^ Glaberson, William (January 8, 1998). "Kaczynski Tries Unsuccessfully to Dismiss His Lawyers". The New York Times. Archived from the original on December 5, 2013. ^ Staff writer(s) (January 8, 1998). "Kaczynski Demands to Represent Himself". Reuters. Archived from the original on October 3, 2017. ^ Glaberson, William (January 8, 1998). "Kaczynski Can't Drop Lawyers Or Block a Mental Illness Defense". The New York Times. New York. Archived from the original on May 24, 2013. Retrieved June 15, 2017. .
^ Staff writer(s) (January 9, 1998). "Suspected Unabomber in suicide attempt". BBC News. Archived from the original on October 3, 2017. ^ Diamond, Stephen A. (April 8, 2008). "Terrorism, Resentment and the Unabomber". Psychology Today. ^ Possley, Maurice (January 21, 1998). "Doctor Says Kaczynski Is Competent For Trial". Chicago Tribune. Archived from the original on October 3, 2017. ^ Corey, Scott (January 21, 1998). "Revolutionary suicide". Salon. Archived from the original on December 27, 2008. Retrieved February 4, 2009. ^ "The Unabomber: A Chronology (The Trial)". Court TV. Archived from the original on June 30, 2008. Retrieved July 5, 2008. ^ Taylor, Michael (August 12, 2006). "Unabomber's journal, other items to be put up for auction online". San Francisco Chronicle. Archived from the original on December 27, 2008. Retrieved July 5, 2008. ^ Catherine Prendergast: "The Fighting Style: Reading the Unabomber’s Strunk and White Archived May 21, 2013, at the Wayback Machine", College English, Volume 72, Number 1, September 2009. ^ Jane Perrone: "Crime Pays Archived January 13, 2017, at the Wayback Machine", The Guardian News Blog, July 27, 2005. ^ Rong-Gong Lin II and Wendy Lee: "Unabomber 'Murderabilia' for Sale Archived January 24, 2016, at the Wayback Machine", Los Angeles Times, July 26, 2005. ^ a b Kovaleski, Serge F. (January 22, 2007). "Unabomber Wages Legal Battle to Halt the Sale of Papers". The New York Times. Archived from the original on April 24, 2009. Retrieved July 3, 2008. ^ Trescott, Jacqueline (August 13, 2008). "Unabomber Objects to Newseum's Exhibit". The Washington Post. Archived from the original on September 10, 2008. Retrieved October 7, 2008. ^ Egelko, Bob (January 9, 2009). "Unabomber's items can be auctioned". San Francisco Chronicle. Archived from the original on July 15, 2009. Retrieved January 11, 2009. ^ Kravets, David (June 2, 2011). "Photo Gallery: Weird Government 'Unabomber' Auction Winds Down". Wired. Archived from the original on June 9, 2012. ^ "Theodore John Kaczynski Archived April 30, 2011, at the Wayback Machine." Federal Bureau of Prisons. Retrieved January 5, 2010. ^ "The Unabomber's not-so-lonely prison life". Archived from the original on October 11, 2017. Retrieved October 10, 2017. ^ "Newseum – Unabomber". Newseum. Archived from the original on December 1, 2014. Retrieved April 1, 2015. ^ Pond, Lauren (October 31, 2005). "NU rejects Unabomber's offer of rare African books". The Daily Northwestern. Archived from the original on October 24, 2008. Retrieved February 4, 2009. ^ a b Herrada, Julie. "Letters to the Unabomber: A Case Study and Some Reflections." Archival Issues (2003): 35-46. ^ Bailey, Holly (January 25, 2016). "Letters from a serial killer: Inside the Unabomber archive". Yahoo News. Archived from the original on January 25, 2016. Retrieved January 25, 2016. It has been almost 20 years since Ted Kaczynski’s trail of terror came to an end. Now a huge trove of his personal writings has come to light, revealing the workings of his mind — and the life he leads behind bars. ^ "Labadie Manuscripts". University of Michigan Library. Archived from the original on February 23, 2017. Retrieved August 27, 2013. ^ Zennie, Michael (May 24, 2012). "Harvard apologizes for publishing 50-year reunion update from Unabomber Ted Kaczynski that bragged about his 'eight life sentences'". Daily Mail. Archived from the original on May 5, 2013. This page was last edited on 24 April 2019, at 01:33 (UTC).